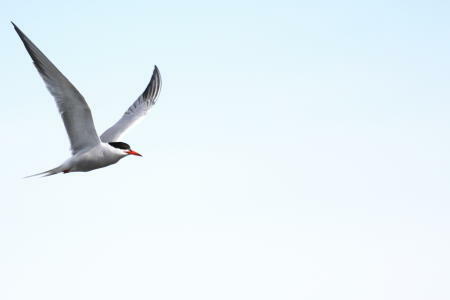 Terns resemble small gulls but unlike gulls have a long pointed wings (which give them a fast, buoyant flight), a deeply forked tail, slender legs, and webbed feet. 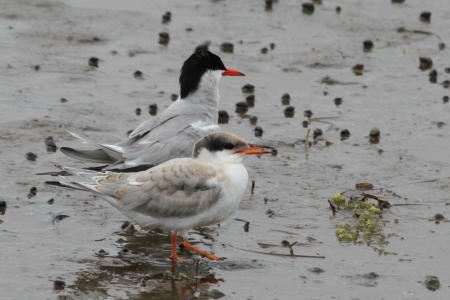 This species is grey above and white below, and have a black cap which is reduced or flecked with white in the non-breeding season. 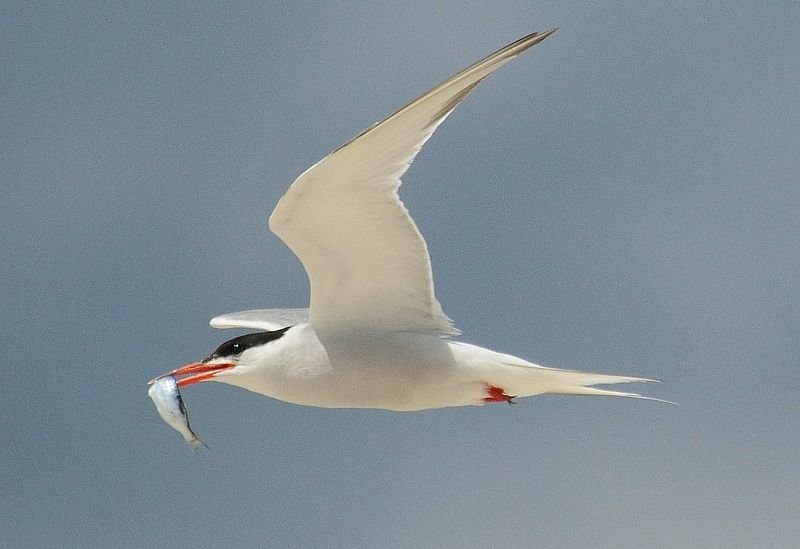 The Latin name for tern "hirundo" means swallow because its flight is similar to that of a swallow.